Get even more power than the Path-Pro 136E to clear snow quickly with the Ariens Path-Pro SS21 208R Single Stage Snow Blower. 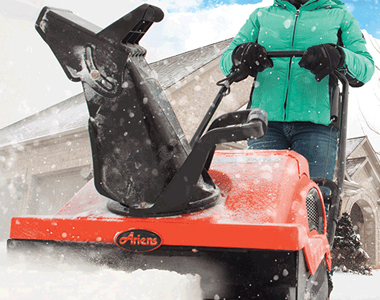 Offering 208cc of power the new Ariens AX model provides optimal quality and a 2+ hour run time. Disperse snow up to 35 ft. away and at a 210° rotation with the manual chute system. Remove snow easily with the 21 inches of clearing width and 12 inches of clearing height. New Ariens AX208 Engine: This snow blower features Ariens new AX engine model offering 208cc of power. These engines are built with optimal quality and the best torque maximum performance. This engine offers a 2+ hour run time, an oversized fuel shutoff and much more. Clearing Height and Width: Clear a lot of snow in a short amount of time with a 21" clearing width and a 12" clearing height. Chute System: A 210° manual chute deflector allows you to adjust the throwing distance up to 35 ft. away. And a remote chute rotation allows you to adjust which way the snow is going from the operator’s position. Reinforced Rubber Augers: Rubber augers are able to clean down to the surface for maximum snow removal. Ergonomic Folding Handle: Comfort is offered with the ergonomically designed handle that folds for storage. Tire Size 7.5" x 1.75"
Max Throwing Distance (ft) 35 ft.
this is a great snow blower ,lots of power, it cranked on the 2nd pull after the assy. no problem cranking when need to use blower. only reason i did not give give it a 5 star rating, first time i used it, it blew snow back under the wear strip leaving about 1/2 inch snow behind, after adjusting the wear strip in was fine. very satisfied with this blower. 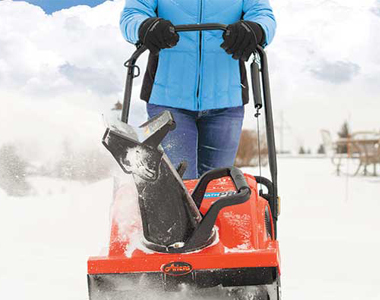 Ask us about the Ariens Path-Pro SS21 208R 21 inch Single Stage Snow Blower. Please no repair questions. Your Q&A may be posted to SnowblowersAtJacks.com to help other shoppers, like you, with their purchasing decisions. Thank you. 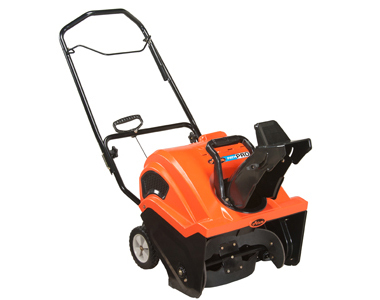 Add options now for your Ariens SS21 208R at a 1 time discounted price. When you are ready to check out, just click the ADD TO CART button. Description: Protect your snow blower from weather, dust, and debris. This cover fits all of Arien’s single stage snow blowers. Description: Star Tron is an enzyme fuel treatment that works to eliminate & prevent ethanol fuel problems, like a clogged carburetor and deteriorated fuel components. Description: Protect your engine in the harshest conditions with the Ariens 5W30 Engine Oil. Description: This Path Pro maintenance kit includes a replacement spark plug, fuel stabilizer, snow jet, and Ariens 5W30 engine oil to keep your snow blower running properly in the coldest weather. Description: Replacement paddle kit for all Ariens Path-Pro models. Ariens Floor Mat Kit 30" x 36"
Description: Floor Mat Kit 30" x 36"